Mark's natives. 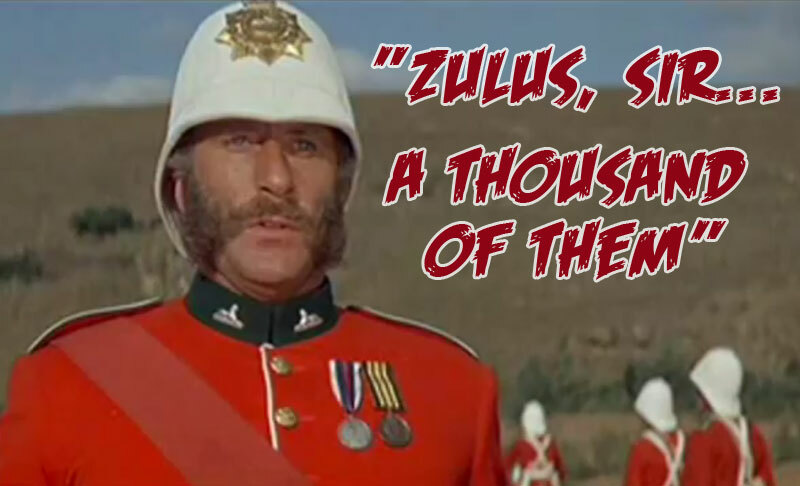 He says they aren't the Zulu tribe but the tribe Mandela's ancesters were from... interesting. 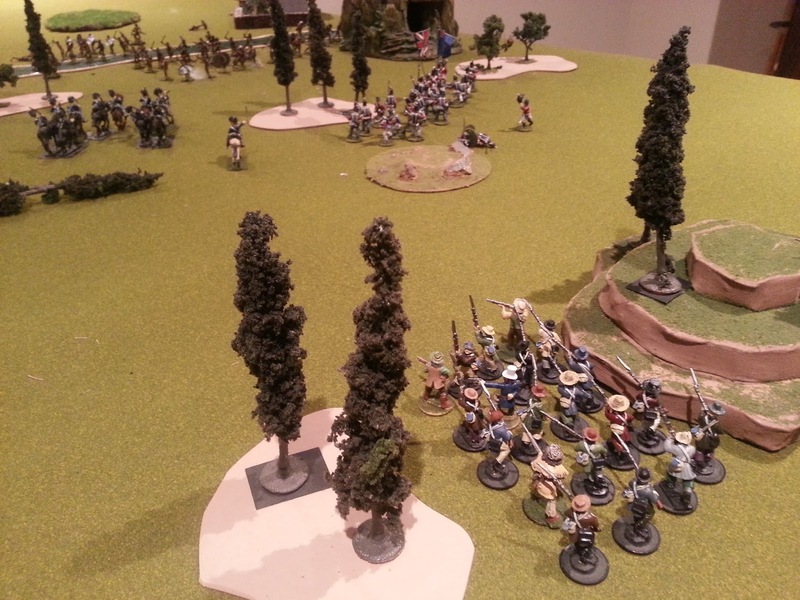 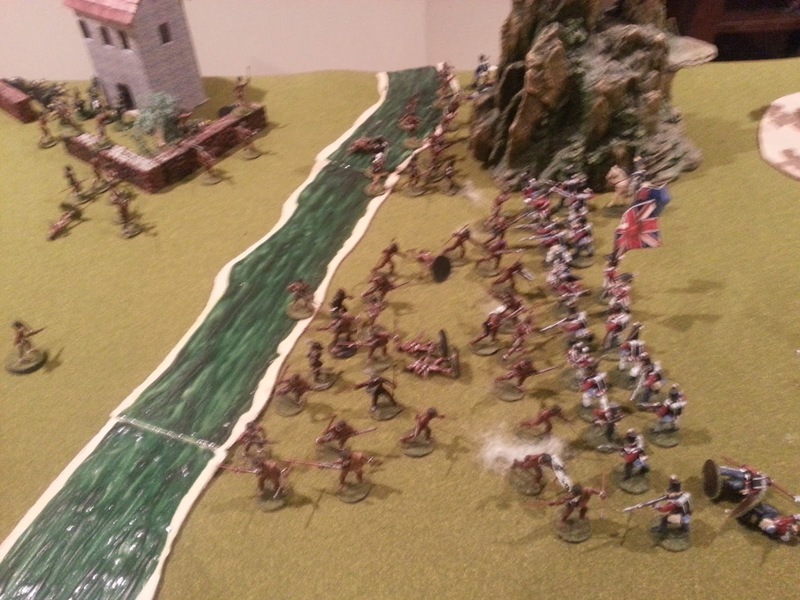 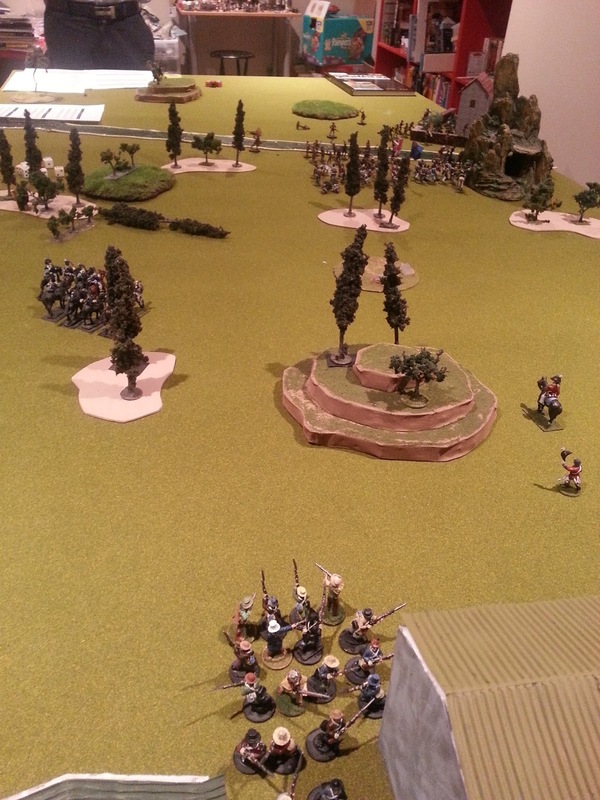 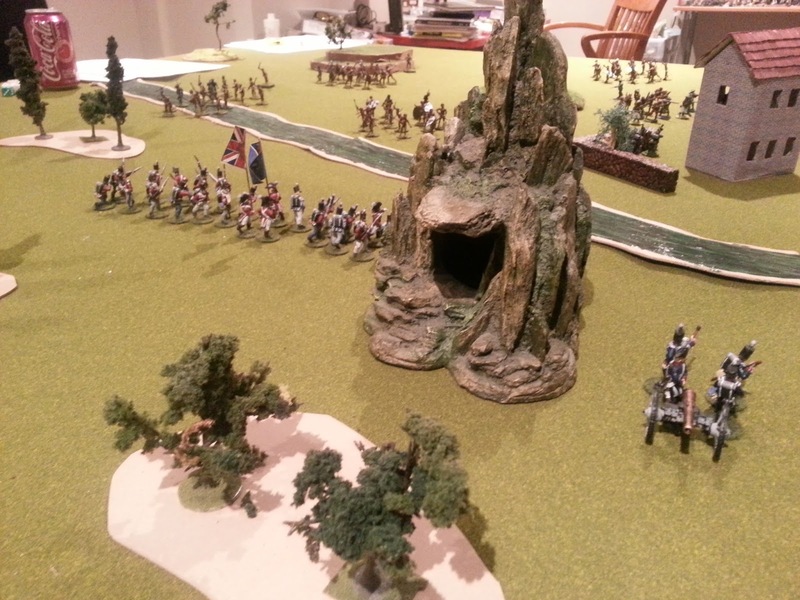 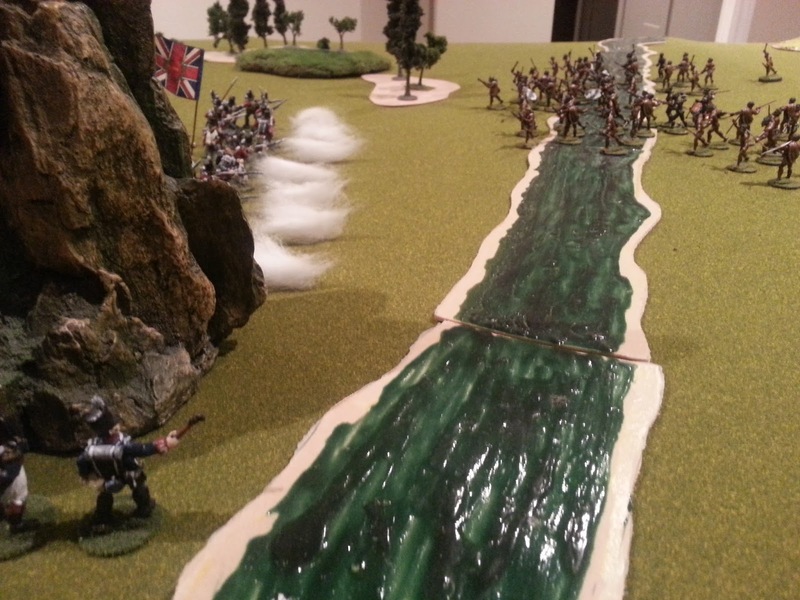 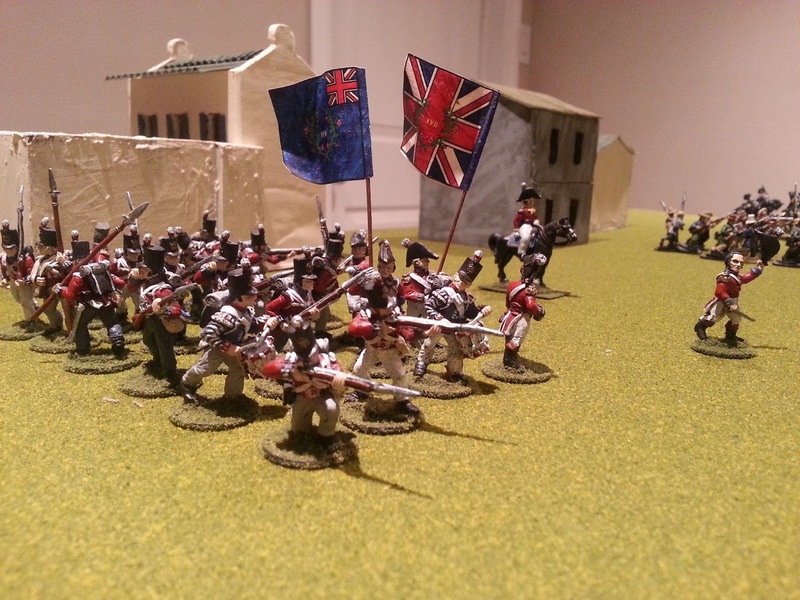 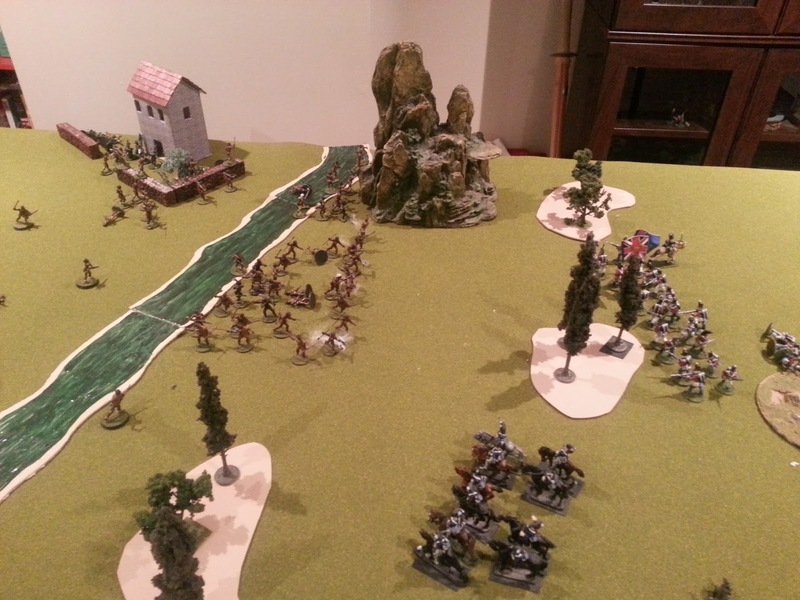 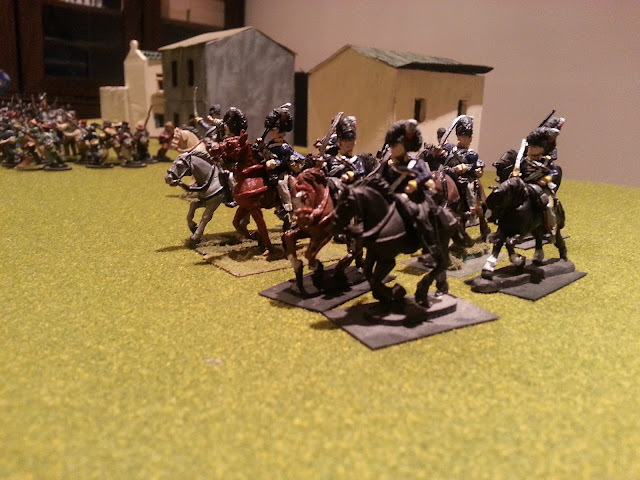 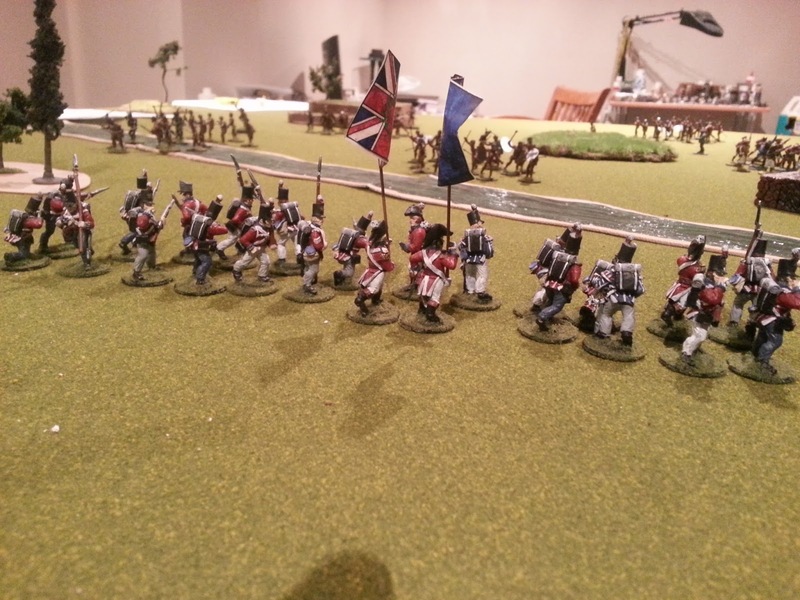 British Foot advance 36 inches while the rest of the army fails to follow any other order. 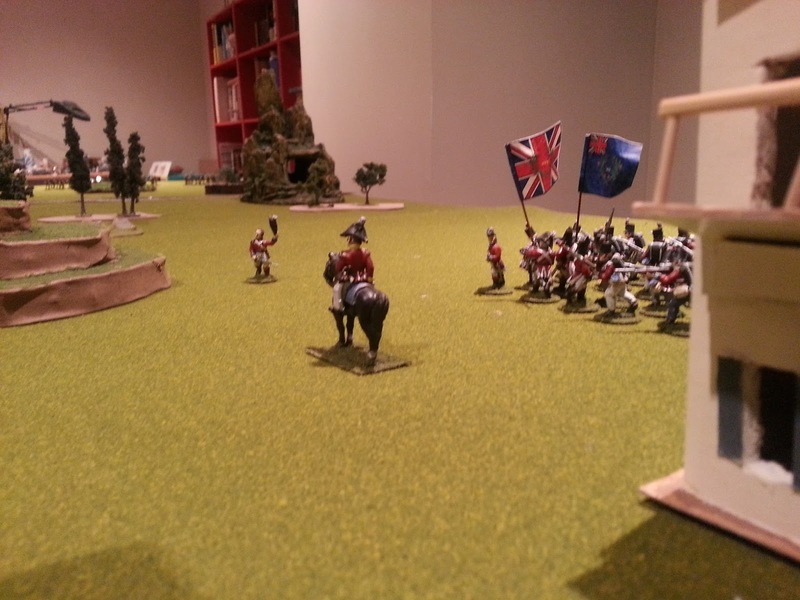 Mark's point of view: He sends one unit to dispatch the Rifles in the outpost <tower on the elft>, and moves his remaining forces forward. 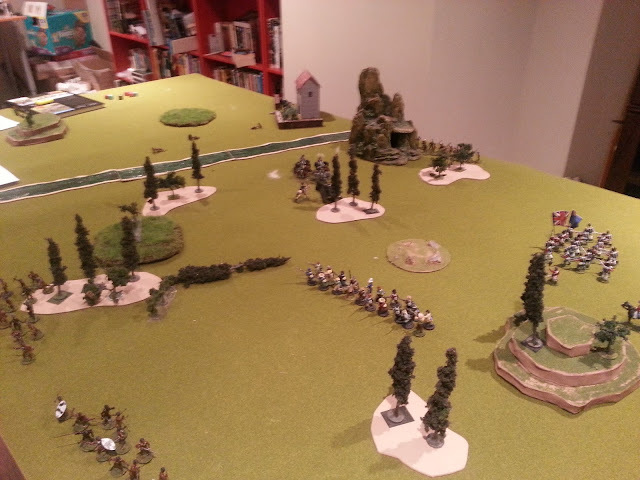 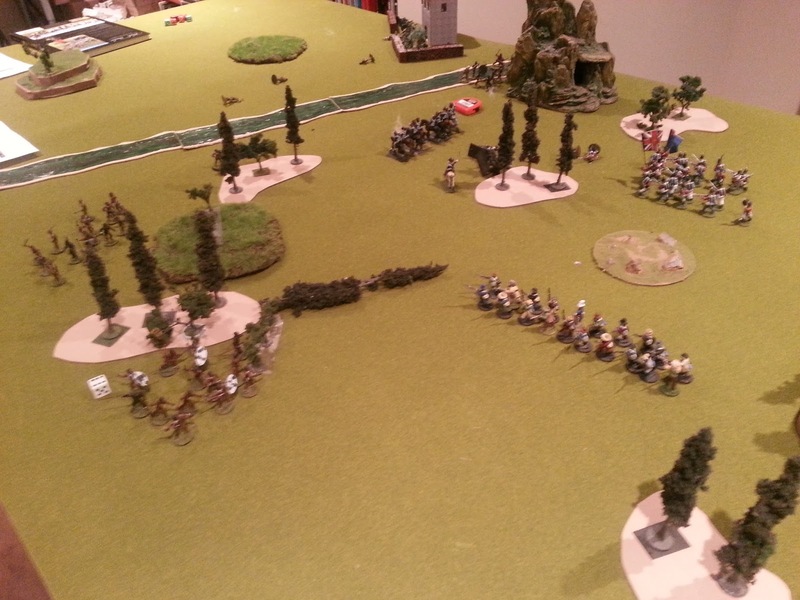 Turn 2, I form a firing line with my Infantry, march the limbered cannon up, dragoons fail to follow orders, but at least the Brigade Commander gets the Militia back on the table.. I figured to unlimber the gun just past the rocky outcropping for enfilading fire.. but only get one action this turn... still limbered. 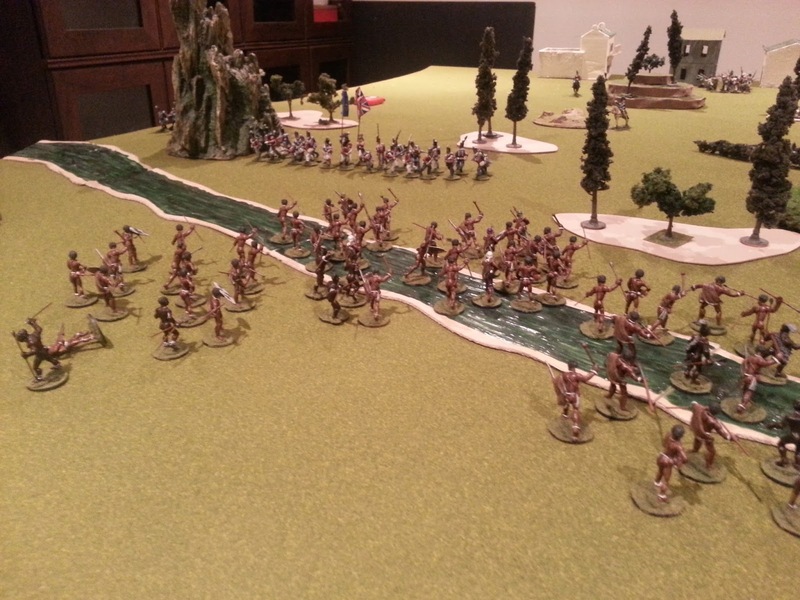 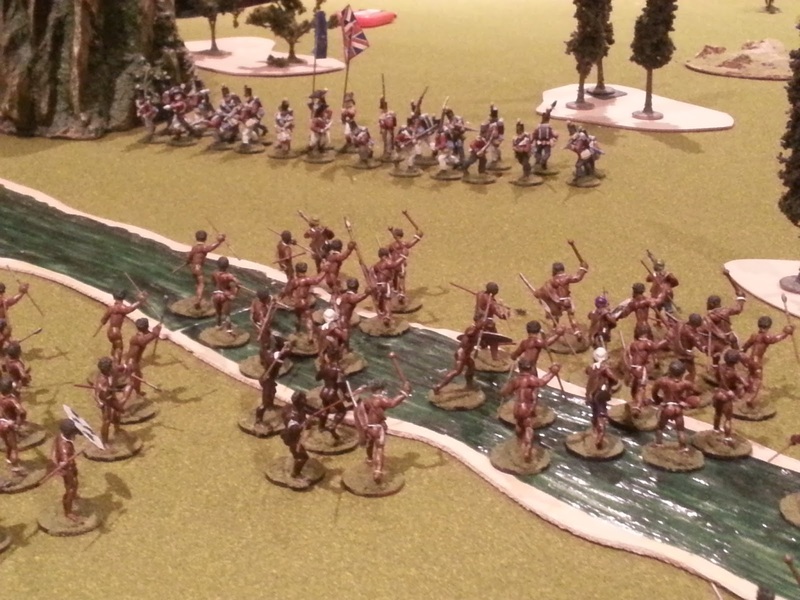 Turn 3, the natives cross the shallow river. Mark is waiting for the bulk of his units to catch up. 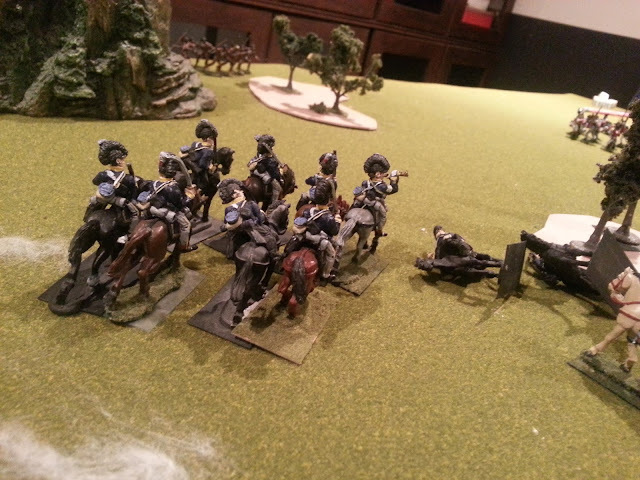 He also had some command / movement issues.. Turn 4, I don't inflict meaningful shooting casualties, and the native Horde is now gathered in strength for the main attack.. 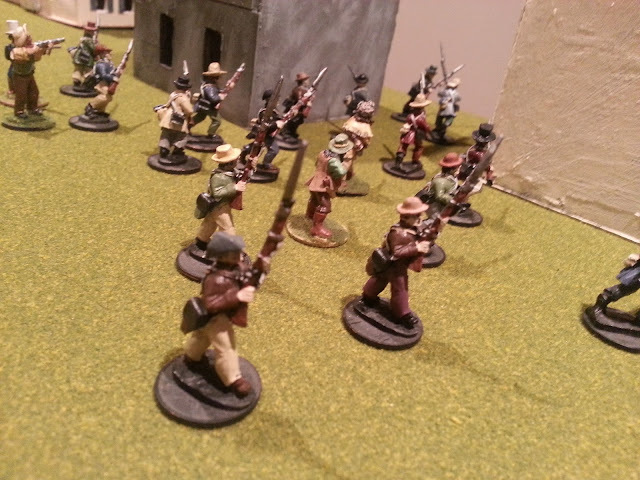 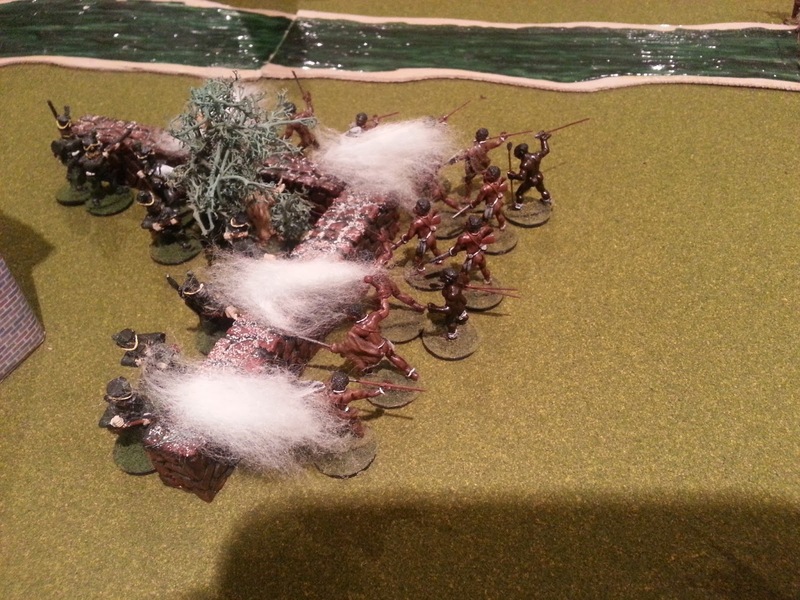 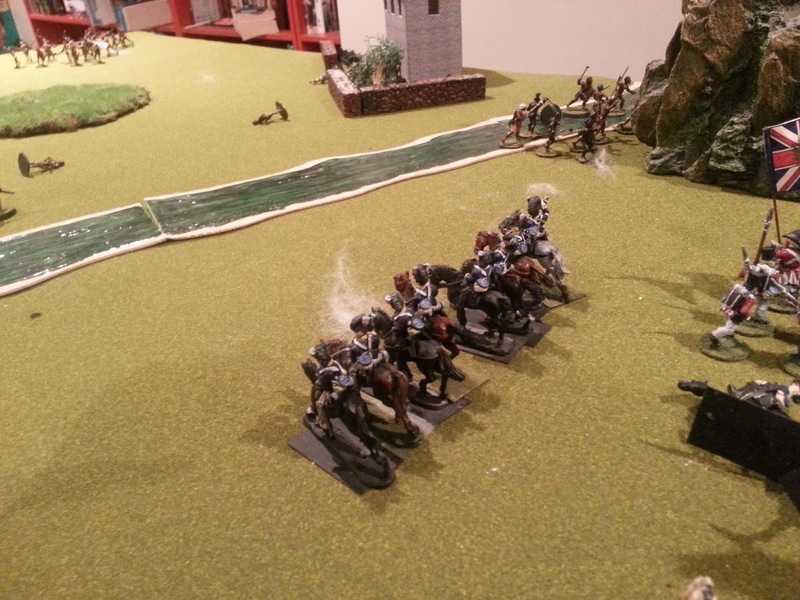 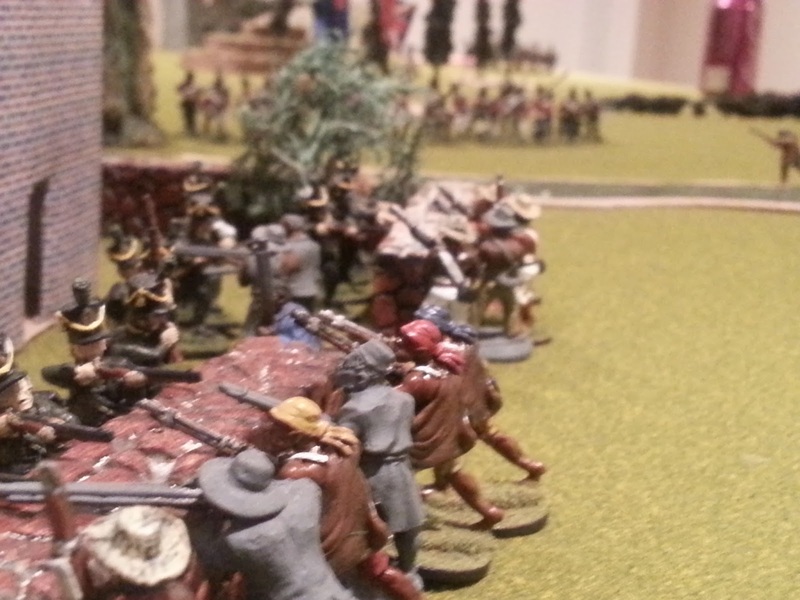 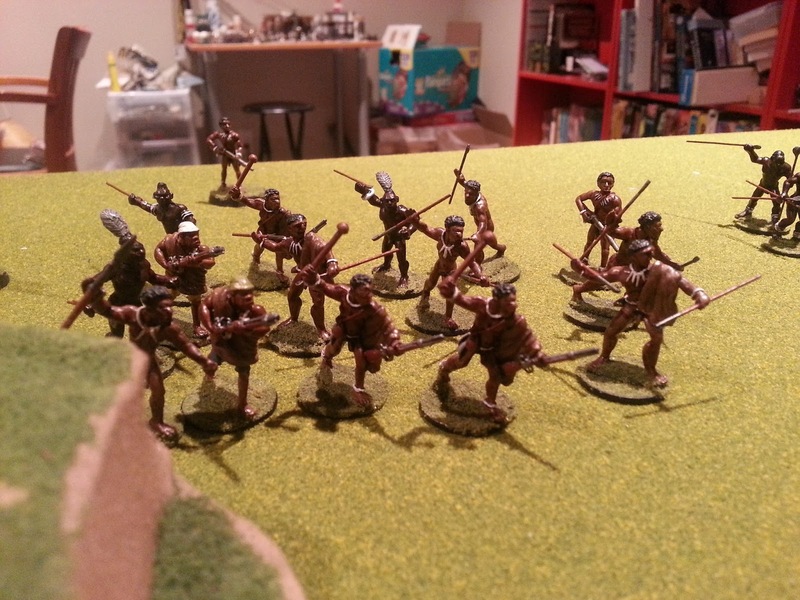 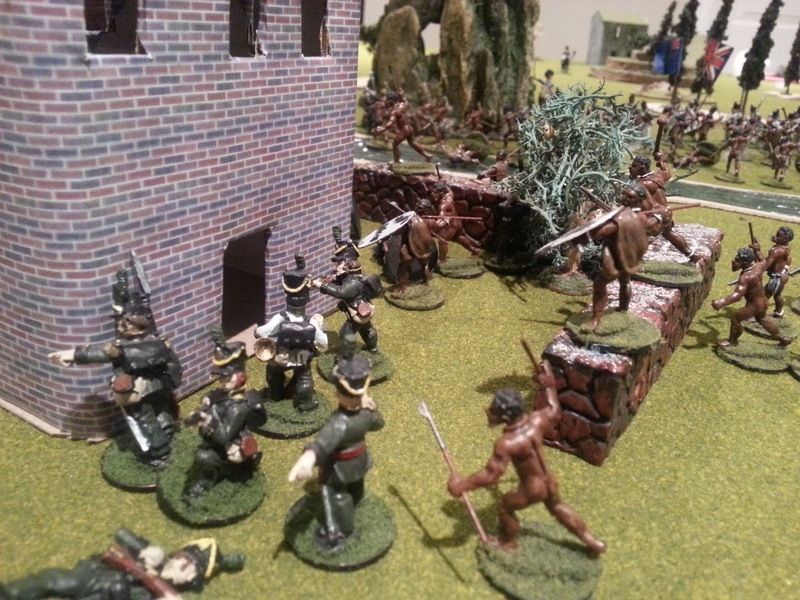 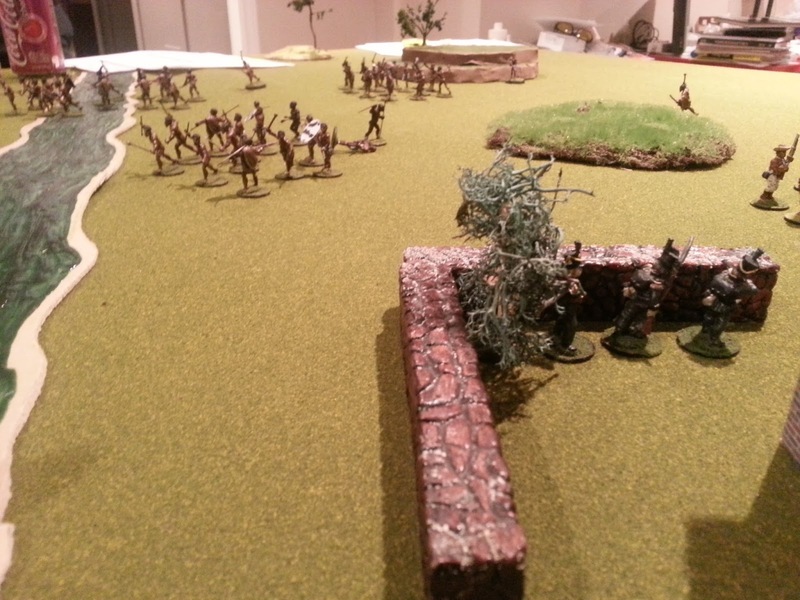 The rifles also get charged, and are able to see this lot off the outpost wall, but took heavy casualties doing so. 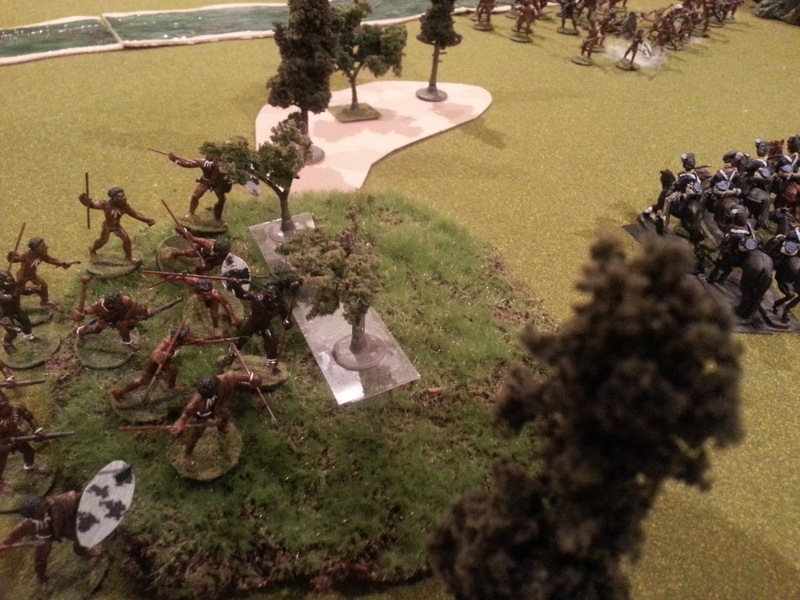 ..while me 'reinforcements' dilly-dally in my backfield.. useless! 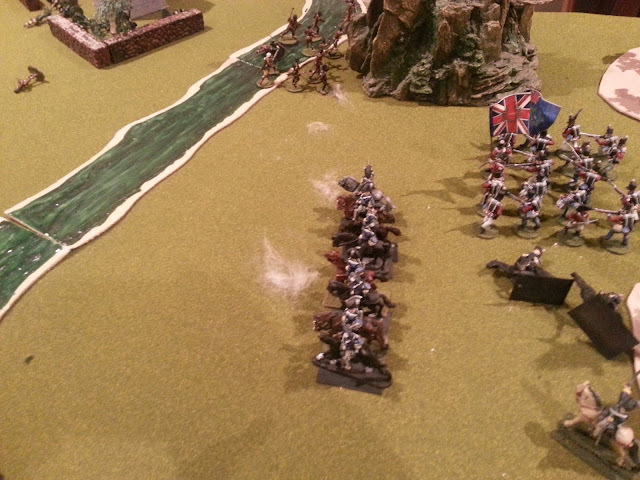 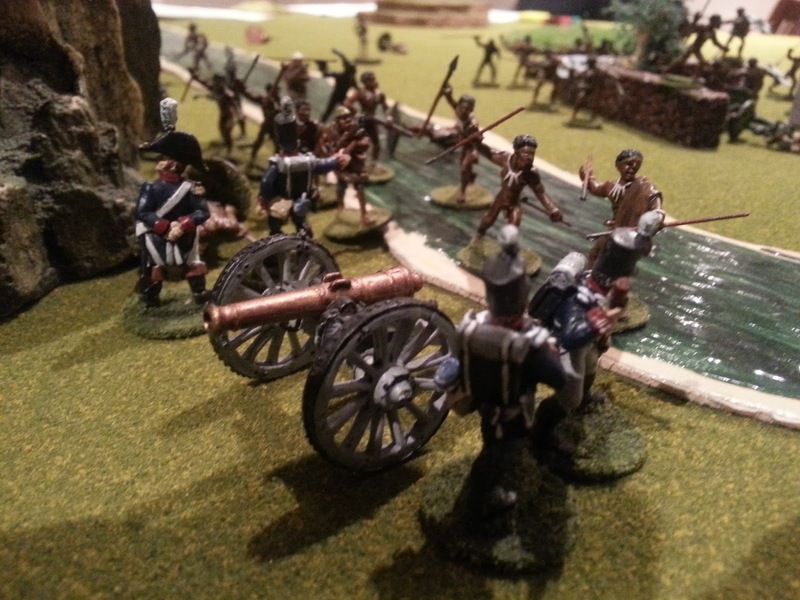 .. while the few surviving Rifles are routed by the uncouth savages at the outpost..
At least my main infantry were able to fall back in good order... Oh look, the Dragoons decide to make an appearance. A little late and a farthing short, eh? 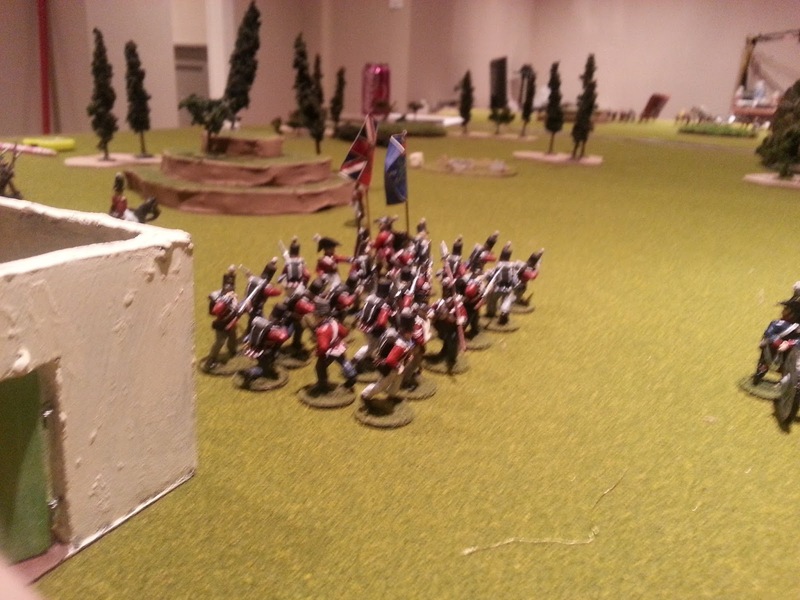 This is all I have left, with Unreliable Militia as my reserve..
Mark moves this unit in a flanking position to my Dragoons.. 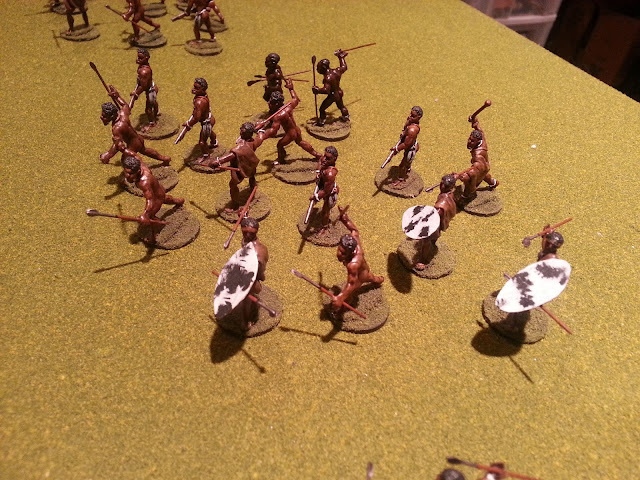 Final turns.. his units are all skirmishers, so can outflank me to get to Grahamstown.. 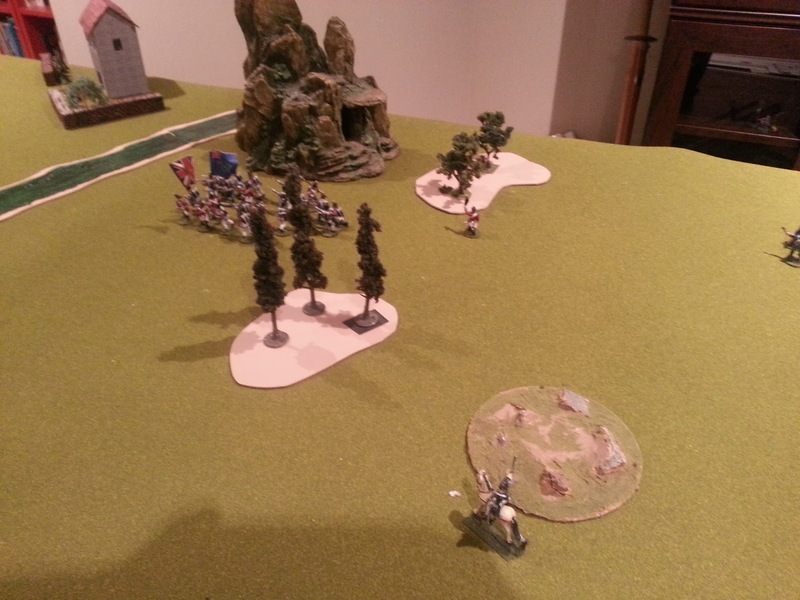 I have to TRUST the Militia to reform in a firing line, and inflict 2 casualties to force a test, and perhaps fail company morale for the win..
Mark keeps the unit hidden by the rocky outcrop, denying me the opportunity to bring him below half strength.. And the Militia fail to break the natives with gunfire.. 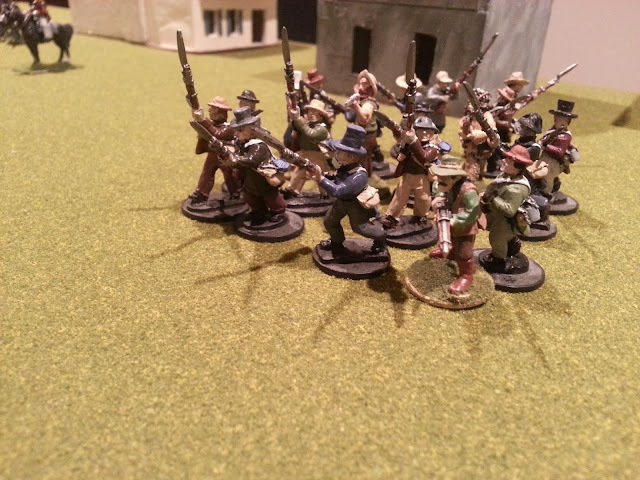 The militia can only look on as the natives put their town to the torch. 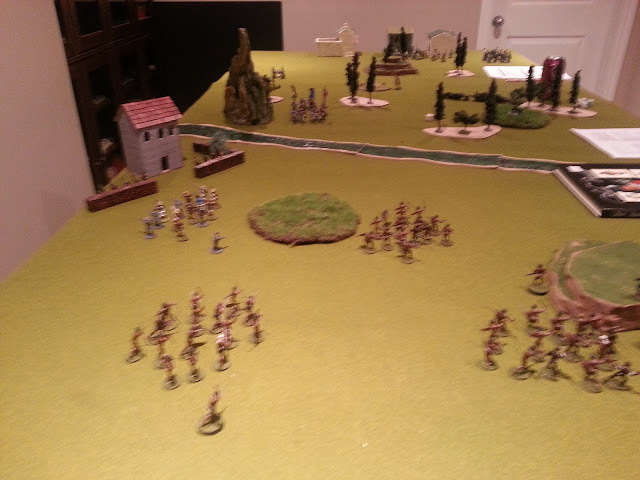 Fantastic game Mark, thanks for hosting! 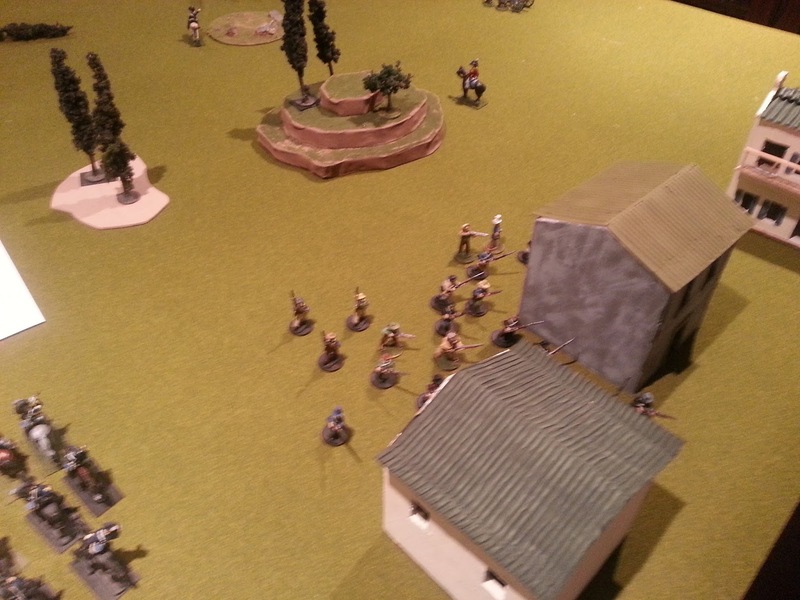 "No, not the Chinese Restaurant!!" 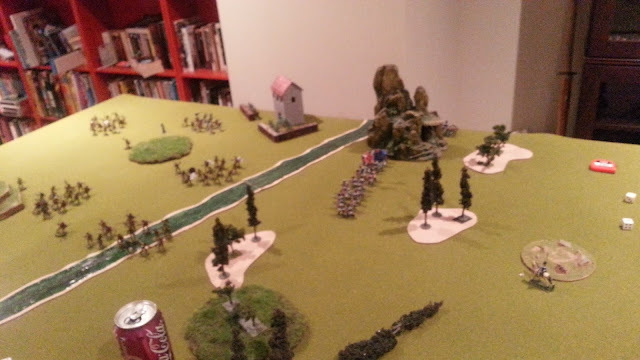 Here is the Video. 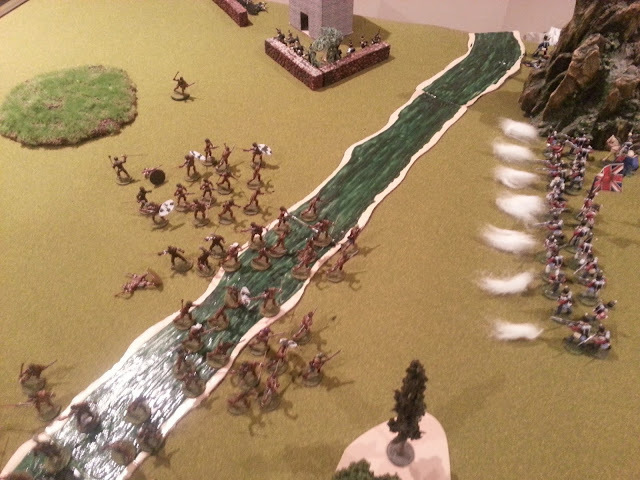 I am fighting a cold.. didn;t realize I cleared my throat at EVERY film segment hah! 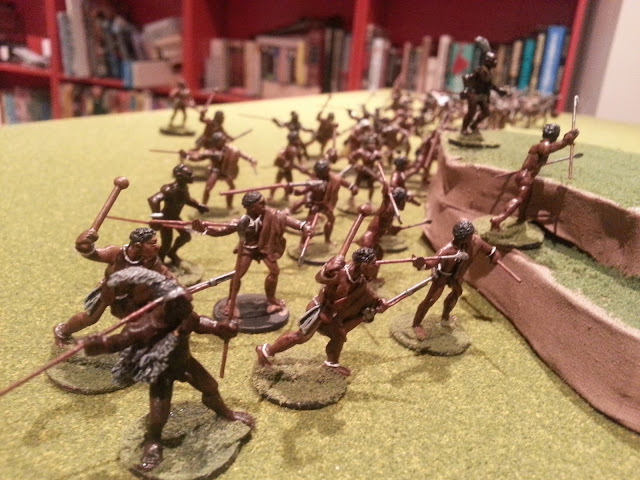 "Is it Dysentary, man?"